WooCommerce is arguably one of the best options to build an online store at the moment. You can get WooCommerce as a free WordPress plugin and extend its functionalities using numerous plugins. 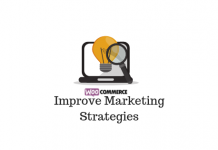 Moreover, WooCommerce allows newcomers to benefit from the platform the same way it allows experts to improvise on it. Naturally, this contributes quite a lot to the publicity of the platform. However, this means more people are willing to experiment, and naturally they stumble upon roadblocks. This article explores the efficiency of WooCommerce support system and tries to find out the best options. Next time when you face an issue with your WooCommerce store, or your specific business strategy, you know where to look at. We will also discuss some of the best practices to get faster, efficient support. Obviously, this one of the best places to look for when you are facing an issue with your WooCommerce store. On the primary navigation menu, there are multiple options under ‘Support’. These options are ‘Documentation’, ‘Submit a ticket’, ‘Contact’ and ‘Customizations’. WooCommerce provides detailed and structured documentation to help users of all knowledge levels. As per the latest information, in order to submit a ticket in WooCommerce, you need to have a WordPress.com account. In fact, this is an attempt to centralize all the services that come under Automattic. Users need not worry about multiple login ids and the related complications. The contact option of WooCommerce is again well organized on the official site. 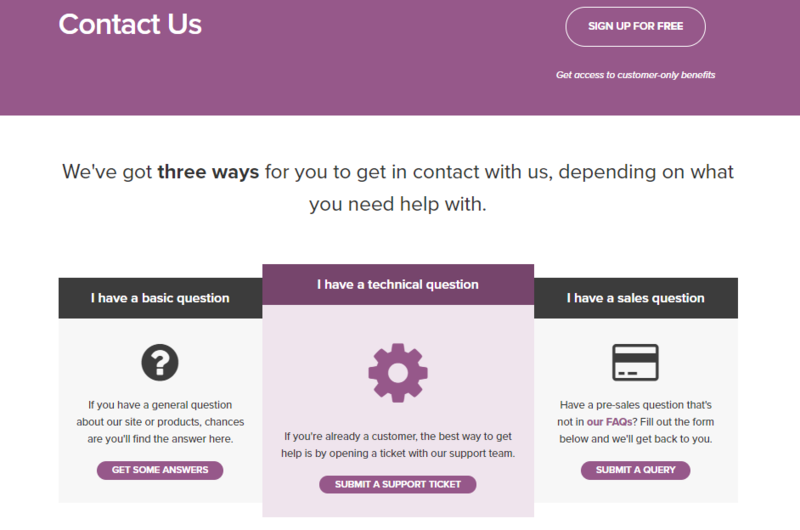 Basically, there are three options on the contact page – basic question, technical question, and sales question. Depending on your specific requirement, you can choose one of these options. If yours is a basic question, WooCommerce site will redirect you to a bank of ‘Frequently Asked Questions’. In a lot of cases, you can find your answer here itself. On the other hand, if you have already purchased one of the WooCommerce extensions, and need help with that, you can raise a support ticket. And, if you have a pre-sale query, there is a form that you can fill up and expect an answer in a short span of time. The Contact us page is systematically arranged to help users with a clear and quick resolution of issues. This categorization of the support page helps users to quickly find the right place to search for a solution. Often while running a WooCommerce store, you might come across issues that can’t be resolved easily. Or, you may want to personalize certain features or would like to add a certain functionality. In such cases, you probably would like to consult an expert in the field. WooCommerce offers great options for this too. 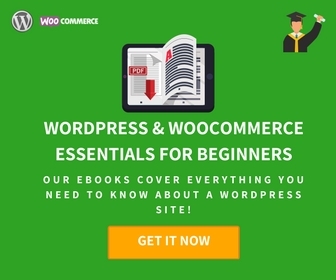 You can find ‘Verified WooCommerce Experts’ here to help you with any challenge you are facing. WooCommerce has handpicked and certified a few companies around the globe to help you with a wide range of personalization. You can select one of these companies according to your location, project size, and budget. As you already know, WordPress support forum is where you can find answers to a lot of your queries. This is especially relevant when you have not purchased a WooCommerce product, and are using the basic free plugin. You need to log in with your WordPress.org account to ask a question in this forum. As it is an active community maintained by developers and enthusiasts, you may find relevant answers here. However, the response time is not ideal, and sometimes you may not resolve the issue in a timely manner. This is mostly due to the huge popularity of the plugin itself. And, it is not practically possible to provide free services without delays. If you are in a real hurry, you may want to opt for one of the premium service options that we will discuss later in this article. Social media has revolutionized the way we communicate. Often Facebook is a better place to find quick answers to your WooCommerce queries than the WordPress forum. There are two popular Facebook groups you can try out. “WooCommerce Advanced” and “WooCommerce Help and Share”. If you have a challenging query, former will be ideal, as it is a forum for advanced WooCommerce users. If you want to get answers to queries of all knowledge levels, WooCommerce Help and Share will be extremely helpful. As the popularity of WooCommerce is a global phenomenon, there are great possibilities for enthusiasts to meet up and discuss. If you are in a city which has frequent WooCommerce meetups, you can be part of it to share and discuss ideas. And, if you don’t have one in your locality, and would like to start one, there are options for that too. Hosting one is not so tough if you have a good number of WordPress enthusiasts in your area. Find out more information on how to host a WooCommerce meetup here. Attending a WooConf might be another good option to interact with top-level experts and learn more about the platform. With unique workshops, lectures, and specific programs for both developers and store owners, WooConf is a unique opportunity to widen your knowledge on WooCommerce. 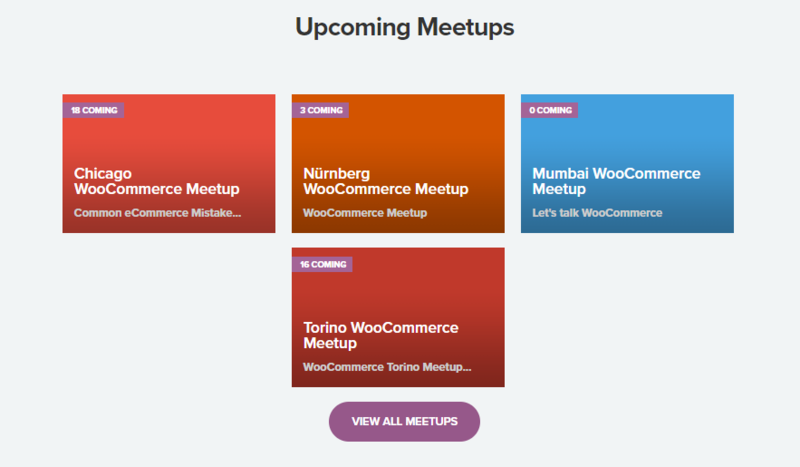 WooCommerce meetups are casual gatherings of experts and enthusiasts to share their prowess in the platform. LearnWoo is proving to be a good resource for WooCommerce users of diverse knowledge levels. You may find basic tutorials guiding you with step by step instructions on setting up a WooCommerce store. Also, there are detailed instructions on setting up the features like shipping and payment options. In addition, you may find a lot of articles comparing the popular WooCommerce plugins with different functionalities. 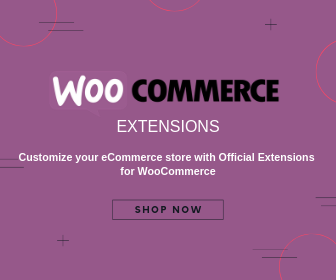 When you need support to maintain your WooCommerce store, you can also approach one of the several independent WooCommerce experts. As discussed above, WooCommerce itself has verified quite a few of them so that you can reliably hire one of them. Let’s take a quick look at some of the popular independent WooCommerce support providers. The Tribe has a reliable team that provides expert solutions on a range of WooCommerce support issues. The dedicated team of developers really help you not worry about nagging issues that need urgent fixing. These people are known for their fast response and quality solutions. Some of the areas that you can take their help range from debugging, theme modifications, customization, speed optimization, SEO, etc. They take up any design, development or technical task related to WooCommerce, and often complete them within 48 hours. WisdmLabs is one of the most popular WooCommerce support providers. As a result, they are part of the elite group of companies that got gold certification from WooCommerce. From the basic aspects of building a store and configuring the settings, they offer all imaginable WooCommerce requirements like plugin development to API integration. And, if you want specific help in payment gateway integration or multi site development, you can get that too from WisdmLabs. A satisfied bunch of clients would vouch for their quality. WP Hero is another premium WooCommerce support solution that you can try out for free. With a wide range of satisfied customers, it is a great option to leave your WooCommerce customization worries aside. They assure the best service for your WooCommerce store with relentless focus on security and quality. With fast response and turnaround time, and a flawless testing process, they ensure your WooCommerce store is never down with problems. We have discussed quite a few options to get support for your WooCommerce store. However, WooCommerce advises to follow a set of guidelines to ensure that you get the required support optimally. Here is a look at some of the tips that you can follow when looking out for WooCommerce support. Even if you are not an expert in technical things, you can still check a few basic aspects before contacting support. One of the first step is to ensure that everything is updated on your site. This includes your WordPress install, WooCommerce, theme and plugins. Another issue that you can check beforehand is possible conflicts. If you are using third party plugins on your site, there is a possibility that some of them might create a conflict. You can find this out by disabling all third party plugins that you have installed. 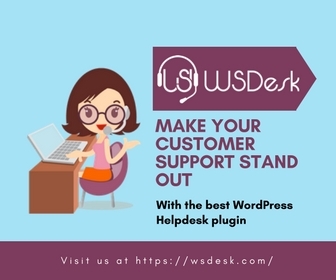 If this step helps, you can identify the specific plugin that is causing the conflict, and contact the respective support team. It is quite possible that the plugin developers will fix the issue for you, if you can prove that the plugin is causing conflict. Similarly, a new theme that you may have installed can also cause conflict with WooCommerce. Switching to the default WordPress theme would be a good option to test this. If the issue is resolved after trying this, you can safely assume that your theme is causing the problem. In that case, you need to support the theme developer. 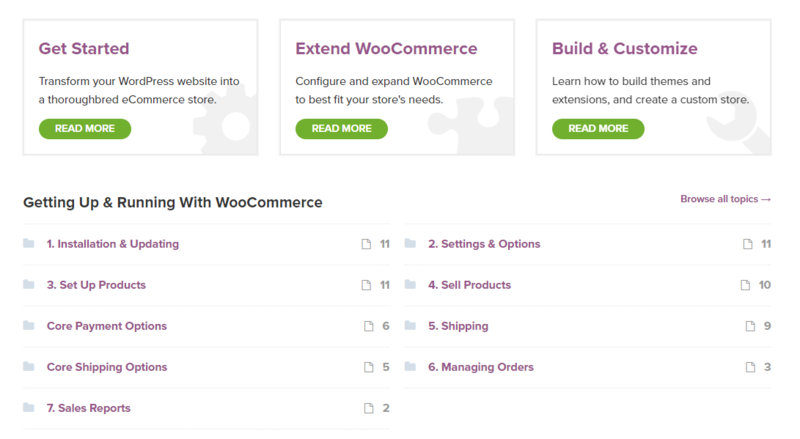 WooCommerce has extensive documentation to help you set up and configure your store. Almost all the setting up scenarios are explained with screenshots and videos. In addition, you can also refer to resources such as LearnWoo for added help in WooCommerce setting up. Finally, after considering all other scenarios, you need to submit a ticket to resolve a technical issue. A little care while submitting a ticket can improve the communication a lot and the result will be a faster resolution. Firstly, the subject of your ticket needs to be clearly stated. This would enable the support team to assign the best person to resolve that particular issue. Make it better by describing the problem clearly and precisely. Including additional information, like screenshots, would help the support agents to quickly understand the issue. Another important point that support teams often point out is to ask only one question per ticket. Often users tend to try and discuss unrelated issues in the same support ticket. This might only help to confuse the support team. So, care should be taken to discuss one issue in a ticket. If you have another issue, raise a separate ticket to address it. Similarly, you have to provide accurate information regarding your store so that the support team can understand the problem well. For example, sometimes to replicate an issue, the support team may need login credentials to your site. Providing such information without delay will be crucial in resolving your query. And without saying, you need to be courteous, polite and professional with the support team at all times. Owing to the huge popularity of WooCommerce, a lot of entrepreneurs around the globe are relying on it to set up an online store. As it is quite flexible to use for people without technical background as well, there is a consistent need for good WooCommerce support. Some of the best places to find WooCommerce support is the official site, wordpress forum and social media groups. In addition, you can rely on independent WooCommerce support companies. Some of them are certified by WooCommerce, and proves to be quite dependable. 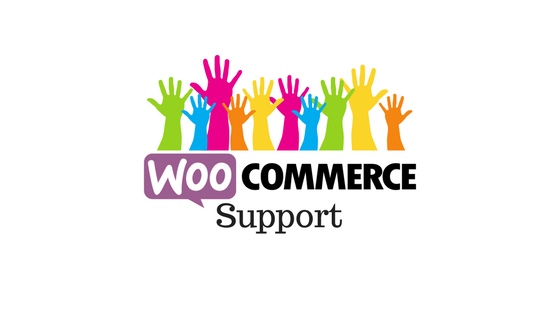 This article has offered some of the best ways to get WooCommerce support in a timely manner. Furthermore, you have also got a glimpse of the best practices to follow while reaching out for WooCommerce support.